Local business play a critical role in the Green Seattle Partnership. Through sponsorships, in-kind donations, and team-building service days, your business can help the forest to thrive. A healthy urban forest benefits all of us, from residents, to employees, to those who come to visit. Trees keep our air clean and free of pollutants that cause asthma and other health problems. During rain storms, they reduce flooding and polluted runoff into our waterways. They provide habitat for local wildlife, and places for people to walk, run, play, and take a break from their busy lives. The amazing natural playground of the Pacific Northwest is among the top factors attracting talented employees to live and work here. Community involvement in volunteerism boosts civic pride, and makes neighborhoods more vibrant. By joining the Green Seattle Partnership, you are helping to create a greener, healthier, and better city for all. We rely on financial contributions from our corporate partners to keep this important work going. Funds are used to purchase tools for new volunteer groups, allow staff to mentor volunteer leaders, create outreach materials to better engage the community, and keep us working towards program goals. Call (206) 905-6911, or email Susannah to talk about sponsorship opportunities. If your business can donate coffee or food to power our hard-working volunteers, branded items like t-shirts or stickers, restoration materials like tools or wood mulch, or large amounts of cardboard or burlap fabric, please let us know! Call (206) 905-6924, or email info@greenseattle.org to talk about your ideas. You can sponsor an upcoming event with your time and create a unique team-building experience for your employees. A national study by United Healthcare and VolunteerMatch found that 81% of those who volunteer through their job say that volunteering has strengthened their relationships with colleagues. 76% say that they feel better about their employer because of their involvement in their volunteer activities. 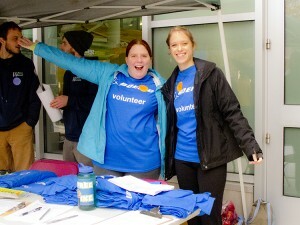 Find an event on our volunteer calendar and rally a group to join you. Additional support can be a major boost for small neighborhood groups working on a restoration project in their local park. 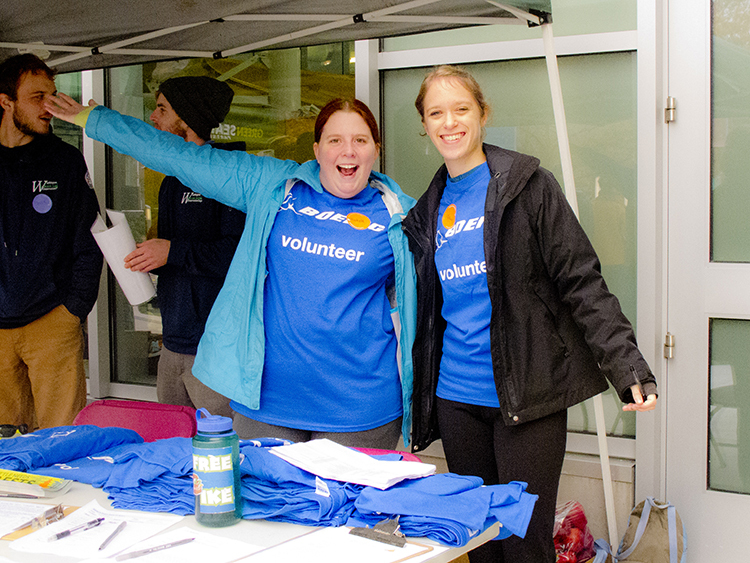 Find an upcoming event and be sure to register your group in advance so that we can plan a great event for all of our volunteers.